Yes, that is a picture of hay. We are almost out of the 1024 bales we got back in May! This in addition to the 450 bales donated by All Roads Communications earlier this summer has fed hundreds of hungry rescued horses. But it’s time for hay again. This hay was $9.99 a bale, and that is 94 bales sitting on the trailer. This will last right about a week. We are actively pursuing the absolute cheapest source of hay possible. Being that we have so many horses in the rescue and not enough homes for them to go to, we had to make a list for the Last Act of Kindness. Most of these horses have been here for months and months with little to no interest in them. We simply cannot rescue more horses from slaughter without saying “Goodbye, we love you!” to horses that were spared the cruelest of endings. Thankfully Home At Last had openings for 4 horses, so they chose a lucky 4 to have a forever home at their wonderful sanctuary and adopted them up today. 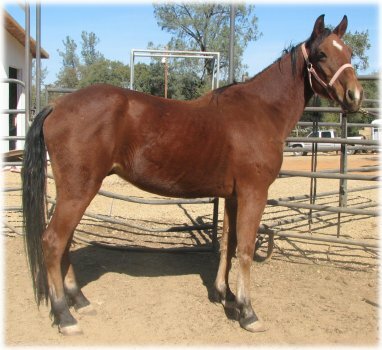 Navajo was surrendered into our rescue program by Butte County Animal Control back in May. He has done wonderfully here at the rescue, you wouldn’t even know he was the same horse. Sadly, no one was interested in poor Navajo. Thanks to Home at Last, he will have his forever home. 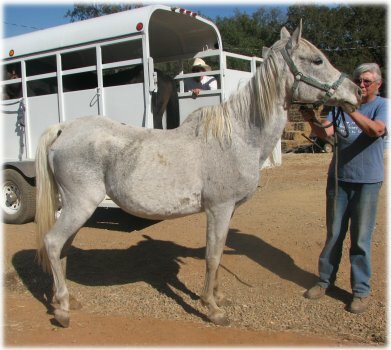 Another horse that went to Home at Last today was Smokey. He came to us 4th of July, he had a big bowed tendon. 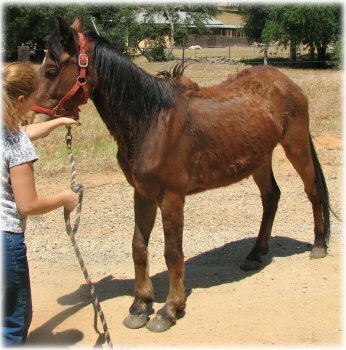 No one was interested in adopting an untrained horse that may very well have issues with his leg while training and riding. Hope also went to Home at Last today. We were still actively looking for and hoping for a home for Hope, but Home at Last fell in love with her. They will provide this sweet girl with such a wonderful retirement. …has shown an increase in weight in the short time she was here. It’s amazing what food in the tummy will do. 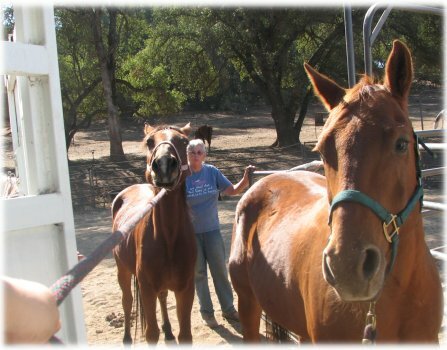 Home at Last can take 10 more horses into their sanctuary with a lifetime sponsorship of $100 per month, per horse. 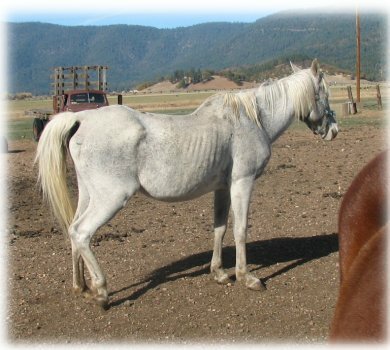 We would love to see horses with seemingly no hope placed into a forever sanctuary. 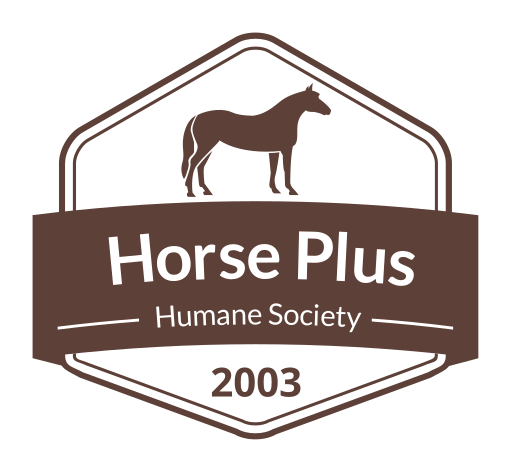 Please contact us if you would like to sponsor a horse at Home at Last. Please remember that it would be a commitment for the lifetime of the horse. It’s so nice to have some more hay sitting at the rescue. 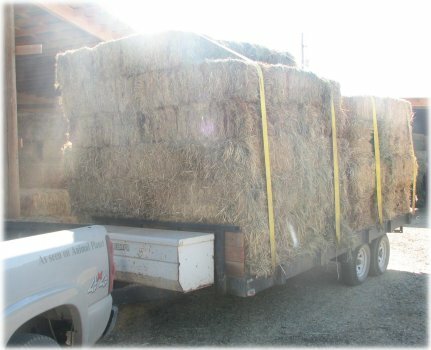 We talked to the hay place about having hay delivered by the semi, and we can get it delivered and stacked for $12 a bale. It seems really high, unfortunately, that’s probably the cheapest it will be until spring. We are hoping to have 1500 bales delivered as soon as the hay barn is up. 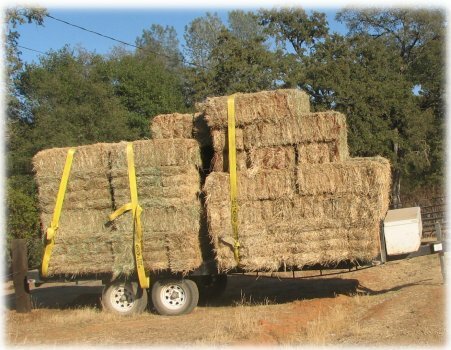 It takes a lot of hay to provide food for so many rescued horses! 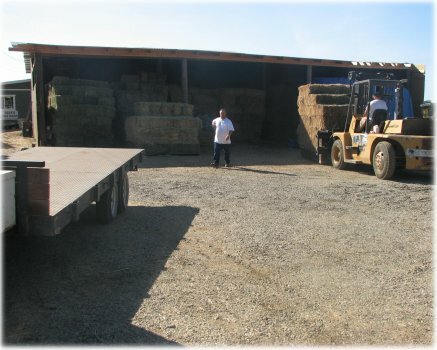 And, it takes a lot of money to buy the lot of hay to provide a lot of food for the rescued horses! We also are checking out a different type of feed, pelleted horse feed. 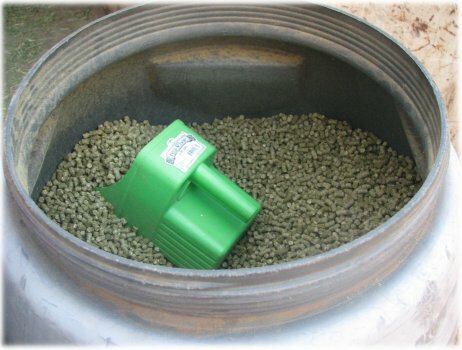 The retail cost is $40 for 250 lbs, which is a bit more expensive than hay at $12 a bale, so we are going to be contacting the manufacturer directly, they are about 60 miles away, to see what kind of deal they can work out. We are also testing the feed to see if the horses do well on it. 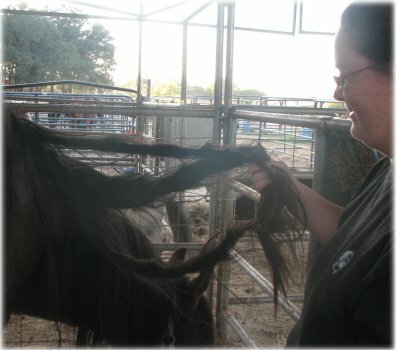 Ann Marie was quite appalled by the tangles in Cajun’s mane. It’s just going to take one of two things: a lot of time and devotion with a brush, or snip cut then chop. Brianna emailed in sick today. Jason got a few emails done, but was mostly working with loads of hay and feed. Hang in there folks and have a great weekend! I really enjoy your blog, thank you for writing and letting us all know how things are going! My jaw dropped when I read how much hay is there…here in the Midwest I can purchase quality brome for $3 a bale along with Prairie hay for less. I don’t know how people afford to feed their horses in CA. God bless you guys!